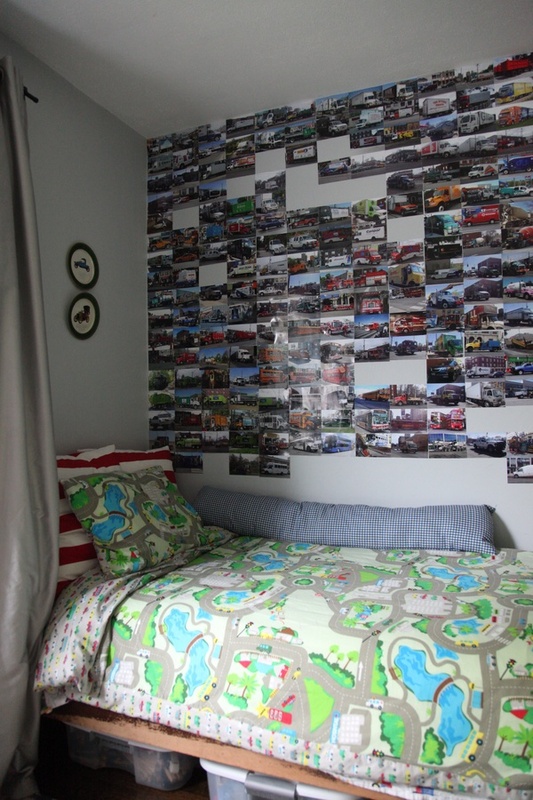 8FOOTSIX: The photo wall keeps growing! The photo wall keeps growing! 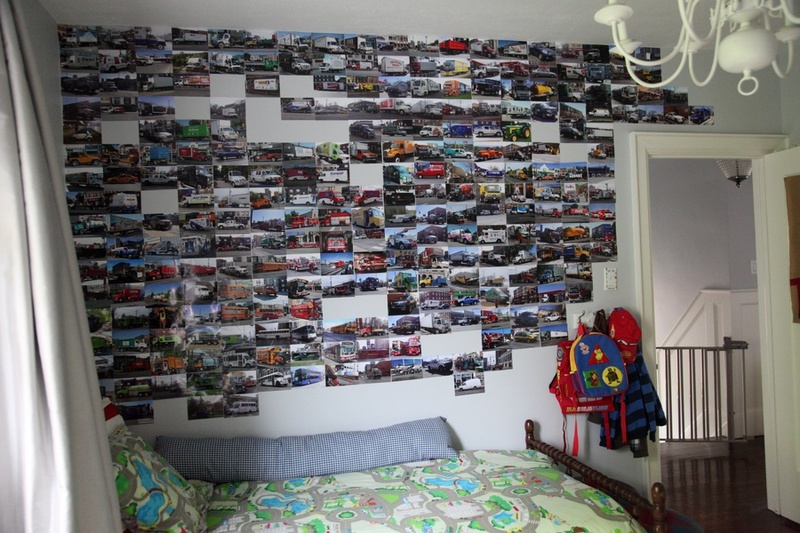 The wall of truck photos in my son's bedroom has exploded now that my 4 year old is the one taking the pictures. He uses my iphone. It makes going to fetch some groceries or the walk to Starbucks more interesting for him. It also prevents me from zoning out, checking my emails or texting as I push them around in the stroller. Apple - Tree...substitute pyrex (or books, or milk glass) for trucks, and what do you have? 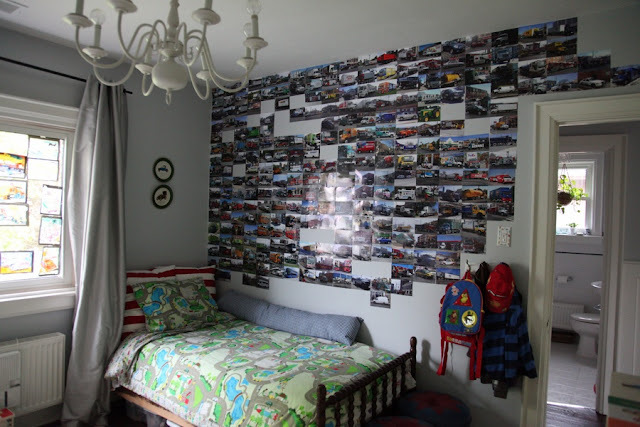 I really like the way you are letting your little guy take command of his room and pursue his own unique style and interests rather than going for the (boring) cookie-cutter "boy" room look that many parents gravitate to. Looks great. I love it. if you have a 4 year old, you get that, I'm sure! Besides, it's not about decorating...it's just living - in style! Ha! I'm impressed! It's awesome that your little guy takes the photos... so fun, and he must be so proud of his wall! What a fantastic idea! The truck photo wall AND letting him take the photos!